Managing a mobile workforce is a complex task with many moving components. You have to know where your people, tools and resources are at all times. But when you barely have time to look beyond the day-to-day, how can you achieve all this? You need processes that enable an efficient service while managing costs and delivering customer satisfaction. When you don’t have complete visibility over all these elements, it’s not just you and your staff that feel the heat, your customers are affected too. On the other hand, when you do have that clarity and control, processes can be done better, faster and to a standard that gives your team pride in their work, and keeps your customers happy. Let’s take a deeper look into exactly how the right workforce management platform enables your team to meet these goals. Battling away with manual processes, multiple spreadsheets and applications can be frustrating. Add to that the need for direct communication between the field and office, and you have a very complicated set of workflows to handle. The more complex your processes, the more potential for costly errors and downtime. 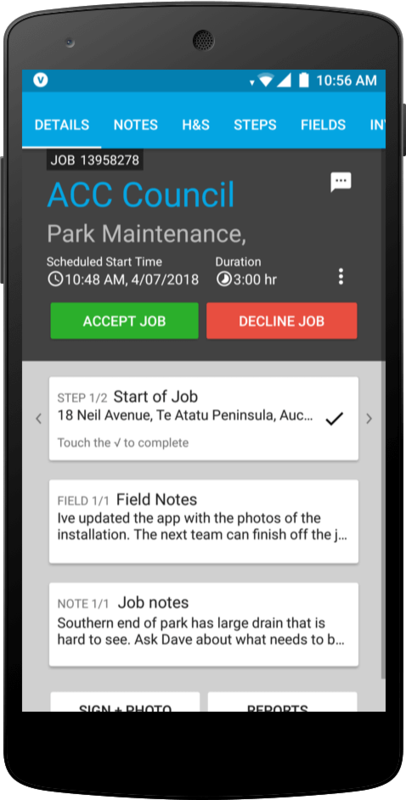 Workforce management software allows you to coordinate, track and optimise your open space jobs in one collaborative system. And most importantly, it allows you to do all of this in real-time. The key to increasing this efficiency and productivity revolves around streamlining communications. This communication begins with delivering the right information to your mobile workers, which is fundamental to providing a seamless and timely service for both your staff and your customers. Your team can even send notes, videos and photos back to the office. Has your team been deployed to cut grass and trim hedges? What happens if they notice broken park benches, fallen trees and other open space management issues? You might find you have the resources onsite to fix those issues today, or at least find out where the right resources are and the most effective way to deploy them. Preventing revenue leakage is crucial to any open spaces project and yet it’s always proven tricky to handle by manual means. Workforce management can show you exactly when workers clock in, so if they start a job early, those minutes will be recorded and your business can bill accurately for the work completed. For example, if a heavy plant operator’s job is supposed to start at 12 pm but they actually start half an hour earlier, it’s important for you to bill for that extra half hour. This proof of completion for compliance with SLAs is crucial for business owners to optimise their whole operations. Increased visibility goes beyond tracking and optimising your jobs. Time and event reporting also enables instant sharing of financial data across departments. Take the headache out of number crunching and emailing reports between teams. A quality FSM system will allow custom reports that can be shared across relevant teams. Avoid time wastage and frustration with flexible scheduling. A good workforce management platform helps you plan, a great platform helps you adapt throughout a project. 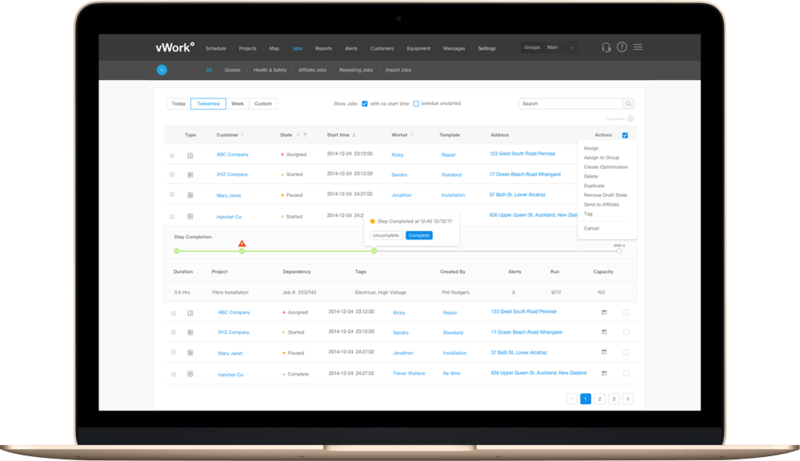 You can even automate invoicing and quotes so that your colleagues in sales and finance feel the benefits of workforce management too. Get the benefits of a bespoke system without the expense. A workforce management system with a configurable API means your existing software tools can be integrated quickly and at a fraction of the cost of a custom build. If your own IT team is stretched, look for a workforce management provider who will help you with the implementation. Do you want to contribute to an uplift in sales? A variety of industries have increased product sales by 12% in the first year of implementation. There’s no reason this couldn’t translate into increased sales of open space services. You can even create new revenue streams by subcontracting to other businesses using the tool. Nothing helps you grow like keeping existing clients happy, ensuring they rebook and giving them the confidence to give you more business. Timely, transparent and efficient open space management is the doorway and workforce management software is the key. Look for a system that allows for customer access or alerts. Can your systems and processes grow with your business? More sales mean you’ll need a bigger mobile workforce. The right platform makes it far easier to onboard new staff and get them up to speed with your processes. Check whether the software you choose has affordable scalability and whether the rates are affected by user volume.